The American Lung Association has named October as Indoor Air Month to promote awareness about indoor air pollutants. One risky indoor contaminant is mold. Mold is a major concern that can cause minor to severe allergies, asthma, respiratory distress, infection and other illnesses. In some cases, it has been linked to cell mutations over time, which can cause cancer. 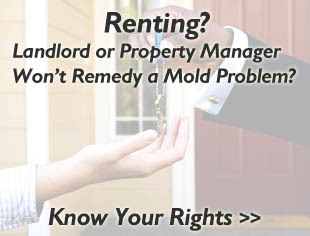 Even during the summer when the weather is dry or if you live where humidity is low and rain infrequent, mold can still pose a risk to property. Slow leaks in pipes or drains, burst pipes, pooled condensation, or exterior watering systems leaking in from the outside can bring in moisture. Nearly all building material is made from natural materials. Moisture combined with natural material equates to a breading ground for mold. Mold often becomes a problem when it grows within walls, floors, ceilings, cabinets or other places hidden from visibility. 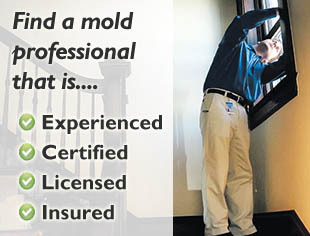 Homeowner, business owner, or otherwise, all properties are at risk for mold growth.